J. Am. Chem. Soc. 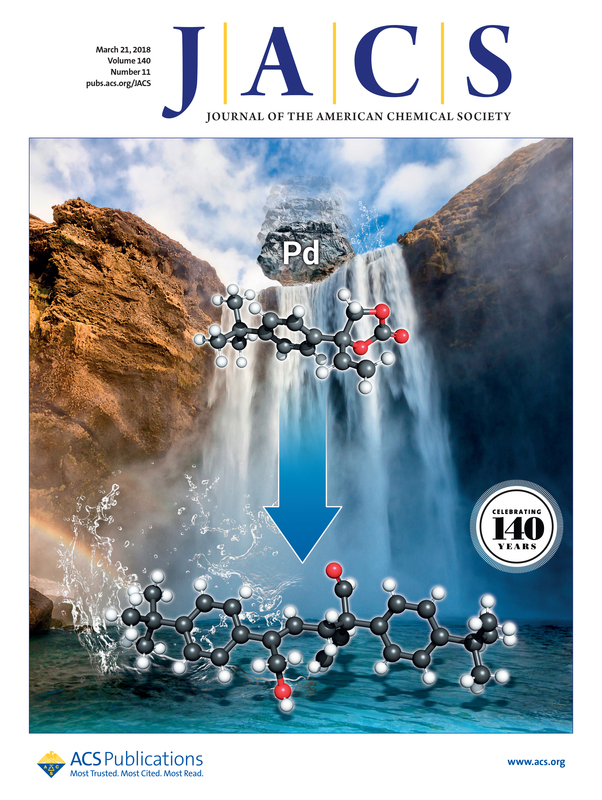 2018, 140, 3981-3987, DOI: 10.1021/jacs.7b12608. * Highlighted in JACS Spotlights (J. Am. Chem. Soc., 2018, 140, 3809). An efficient protocol was developed to construct functionally dense quaternary carbons with concomitant formation of a new Csp3-Csp3 bond via Pd-catalyzed decarboxylative transformation of vinyl cyclic carbonates. This redox neutral catalytic system features stereocontrolled formation of multi-substituted allylic scaffolds with an aldehyde functionality generated in situ, and it typically can be performed at room temperature without any additives. DFT calculations provide a rationale towards the selective formation of these compounds, and revealed a complex mechanism that is able to reproduce with the help of microkinetic models the non-trivial dependence between the identity of the product and the nature of the substituents in the substrate.